In business and even in life your reputation matters. Your online reputation is everything and online reviews will be there forever. Very few companies pay attention to their online reputation. According to a survey, only 1 in 10 businesses actively monitor what is being said about them online. In a digital world, a businesses prospective clients often go online to search for reviews on services or products before making a decision on whether they want to purchase an item or not. The consequences of a bad review can be damaging and the loss of a business sale is just one of the effects a negative review can have. This could result in your business struggling to attract the right staff for employment and members of the press might pick up on this. The solution is simple, make sure to engage with the services of a digital marketing company who specialise in reputation management, like the team at Easy Internet! Over our 17 years in business we have successfully monitored, defended and maintained the reputation of many established businesses. We protect them from negative reviews by advising them on the best practices and assist in the creation of positive reviews. 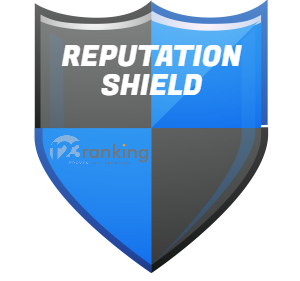 Our reputation shield not only provides a robust defence against negative reviews but also ensures that if they do happen they have a minimal impact on a business.